The grapes for this wine come from the family-owned vineyard ‘Il Bricco’ in Treiso in Barbaresco. 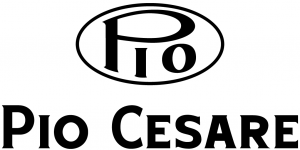 The vineyard was the very first that Pio Cesare planted with Chardonnay in 1980. Leading Bordeaux consultant, Denis Dubourdieu has been working with Pio Cesare since the 2012 vintage to better the quality of their white wines. The grapes are harvested late and hand-picked. The grapes are gently pressed and fermented on the lees in new French oak barriques where the wine remains for 10 months. The wine is then aged in barriques for a further six months until bottling. Winter was long and cold with the cool conditions continuing into March and April which delayed the start of the growing season. Rain during flowering resulted in lower yields due to less berries per cluster. The summer months were typically warm and sunny, resulting in healthy grapes with good aromatic compounds. Turbot, sea bass, veal chops, butternut squash and sage ravioli, lobster, scallops, roast chicken, guinea fowl.